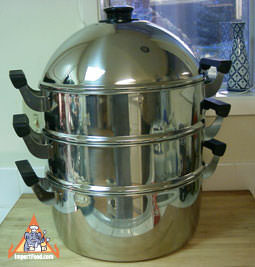 Here we have a strong, large stacked steamer, made by Zebra Thailand of heavy duty stainless steel. This is a restaurant size, or for someone who likes to steam large quantities. 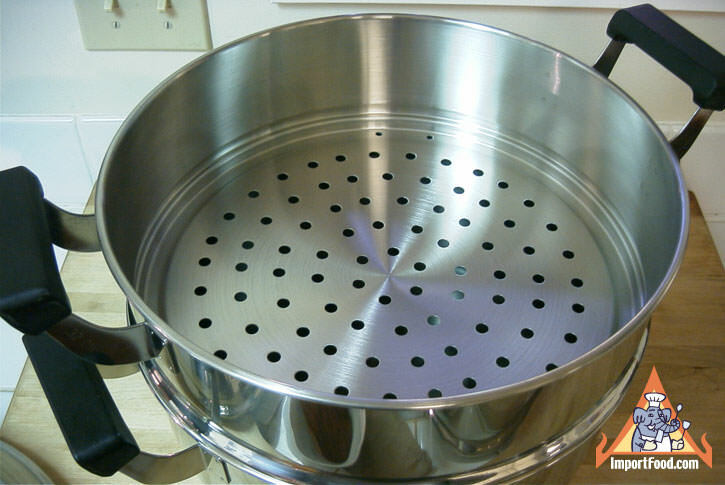 We also offer an 11" wide aluminum stacked steamer. The dimensions are 22" height, 13" width (18" with the handles). 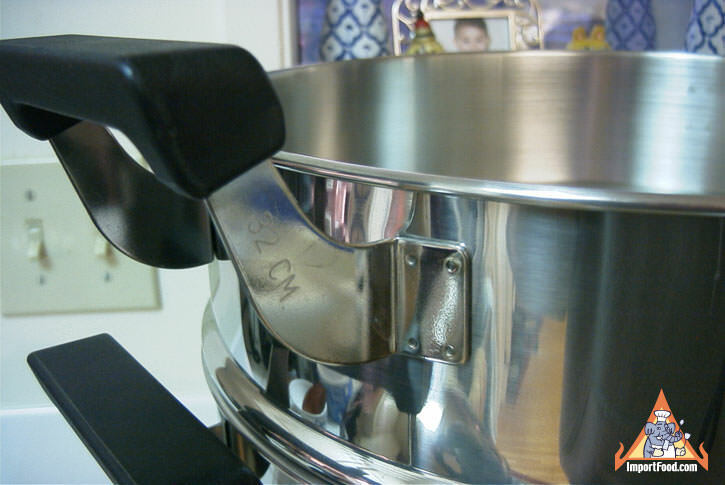 The top has a high dome for optimal steaming (prevents water from dropping on the food). The bottom layer is 6.5" deep and holds over 1 gallon of water. The middle two layers are 4" deep. The top knob, and the side handles, are highest quality bakelite. A longterm investment, the price is quite high, but worth it if you are looking for a high quality stainless steel stacked steamer.